Pioneers in the industry, we offer aluminum fixed louvers, aluminum louvers and industrial aluminum louver from India. 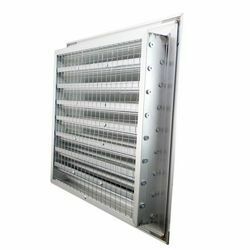 We are engaged in manufacturing and supplying a wide gamut of Aluminum Fixed Louvers, which are widely demanded in various HVAC equipment. Our range is in huge demand among the clients across the nation. We offer best deals at really affordable prices. 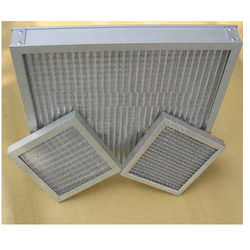 We are engaged in manufacturing and supplying a wide gamut of Aluminum Louvers, which are widely demanded in various HVAC equipment. Our range is in huge demand among the clients across the nation. We offer best deals at really affordable prices. We are one of the top most companies in the manufacturing and supplying electrical cooling equipments. 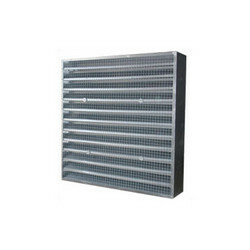 Industrial Aluminum Louver are manufactured by supreme quality raw material. This range of weather louvers are specially designed to match the exteriors of the buildings. These are manufactured especially by the use of aluminum metal which makes them attractive, durable and tensile. Louvers are highly appreciated by our client through out the country. They can easily obtain this at very reasonable range of prices.